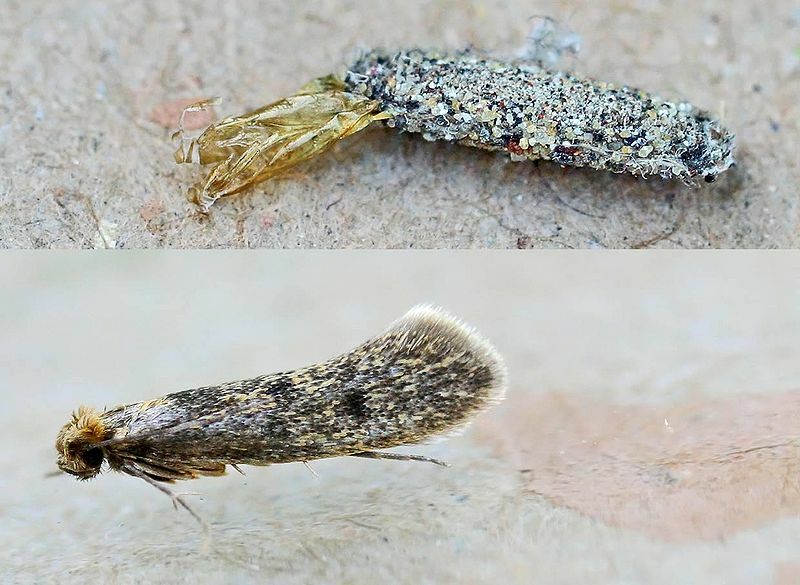 The Case Bearing Clothes Moth Tinea pellionella is similar to its cousin the Common clothes moth in apperance and lifecycle. The most difference between the two is the presence of dark spots on slightly darker wings of the case bearing moth. Clothes moth are quite common and often go unnoticed at first as they tend to keep to the darker areas of rooms, often to be found under beds and furniture. As a clothes moth you can reliably know that these creatures do indeed damage clothing, more commonly they are found to be destroying carpets. Since the larvae shy away from light they tend to be found under furniture which is less frequently moved such as beds, wardrobes etc. 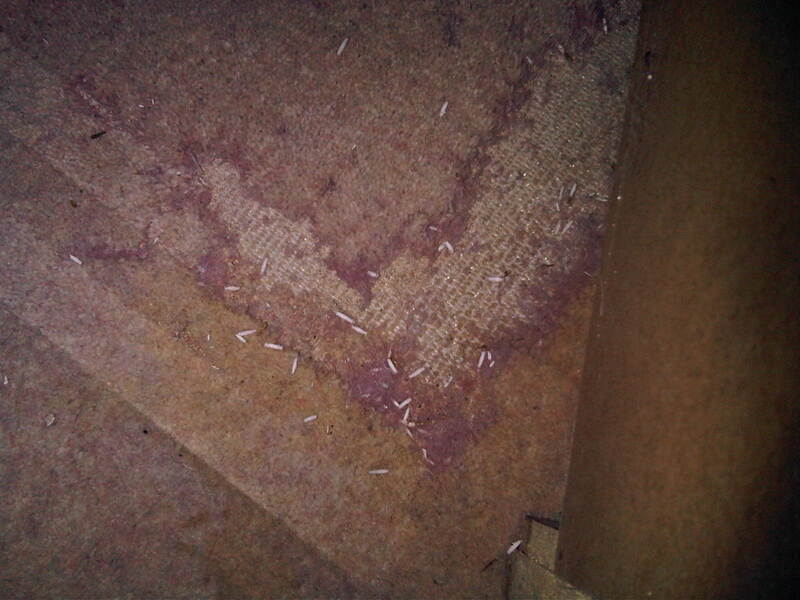 The actual damage caused by an infestation of clothes moth can be quiet remarkable, they will literally eat holes in carpets. Older furniture is also at risk, if you begin to find the moths start looking! Treatment begins with a thorough vacuuming of the entire property, the contents of which should be removed to an outside bin immediately. We have professional insecticides which once sprayed will kill any larvae and adult moths present, eggs may hatch later as insecticides cannot penetrate the eggs. the residual factor of our products usually takes care of any late hatching eggs, although a follow-up treatment is a good idea. Like other insects which go through full metamorphasis Case Bearing moth lay their eggs on or close to suitable source of food for their larvae. Once hatched the larvae begin feeding on natural fibres, animal protein and organic material. The larvae is like a small grub and surrounds itself in a case of webbing, frass, dirt and feaces. Within its case it will feed and grow, eventually to pupate and then emerge as an adult moth.